100+ free fashion DVD templates. Bonus features include transition effects,trim video,etc. Blu-ray burning software assists in creating data backups, audio compact discs (CD) and also helps in creating or burning image files of ISO formats. Another exciting advantage of using Blu-ray burning software is that it assists in burning multiple numbers of Blu-ray vs DVD, CDs, Blu-ray discs, DVDs, etc. Thus Blu-ray burning software plays an important role in our day to day life. In this article let’s discuss the top 10 Blu-ray burning software for Windows and Mac. The role of Blu-ray burning software in our day to day life is quite interesting! So, let’s begin to learn about these Blu-ray burning software. 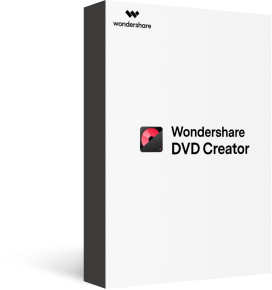 Before getting started, I'd like to highly recommend the all-in-one Wondershare DVD Creator, which assists in burning videos to Blu-ray discs including BD-RE, BD-R, BD-50 and BD-25 on Windows. Aside from the basic functions of Blu-ray and DVD burning, it also provides various editing features like trim video, add transition effects, etc. · Burn any video to Blu-ray/BDMV/DVD/ISO file/Data disc. · Additional toolbox with functions of Slideshow Maker, Video Editor, One-click to Burn Video to DVD, Data Disc, ISO to DVD, etc. 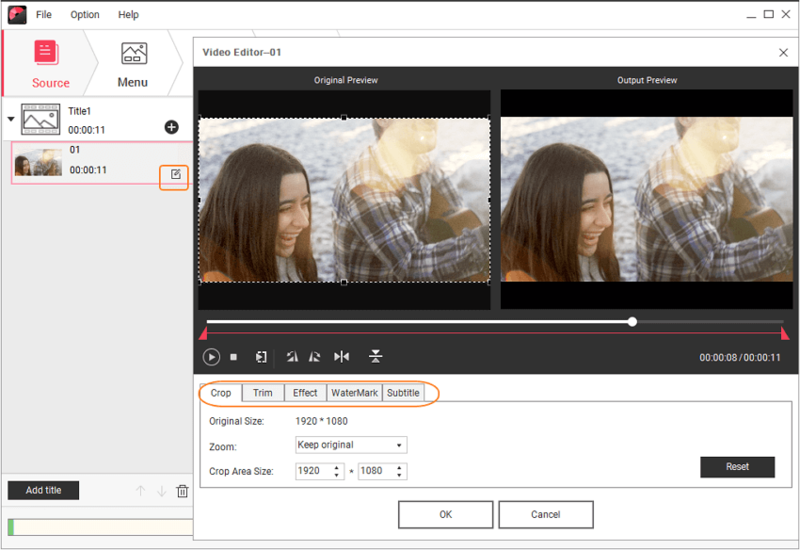 · Built-in editor to edit video easily and quickly, it helps to trim/crop/rotate video, add subtitles/watermarks/effects, and other functions. · 100+ popular DVD templates are provided from the Nature, Family Life, to Sport theme. · Customize your DVD Menu further by changing background picture and music, adding text, editing thumbnail, creating chapters, and others. · Burning videos/photos to DVD on Mac with fast speed and high quality output. In this part, you are going to get detailed step about how to burn videos or photos to Blu-ray disc on Windows. 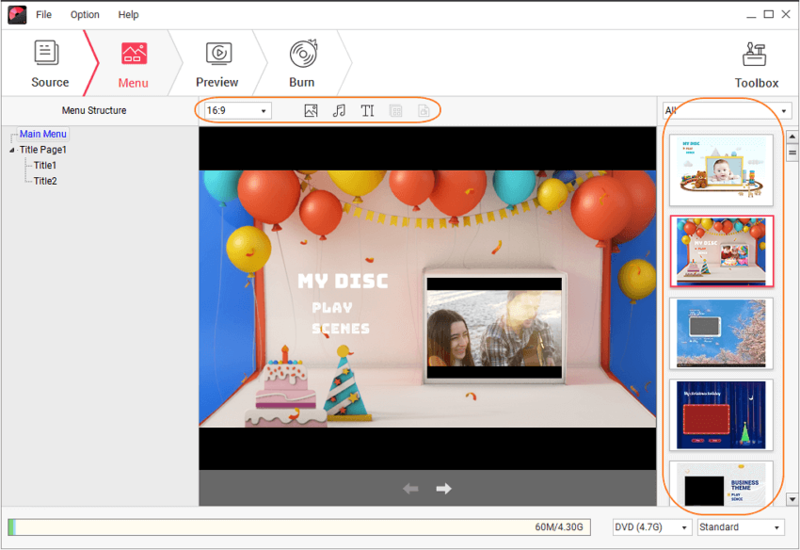 Launch Wondershare Blu-ray creator and then you will notice an intuitive interface open. Choose Create a Blu-ray(BDMV) disc option. 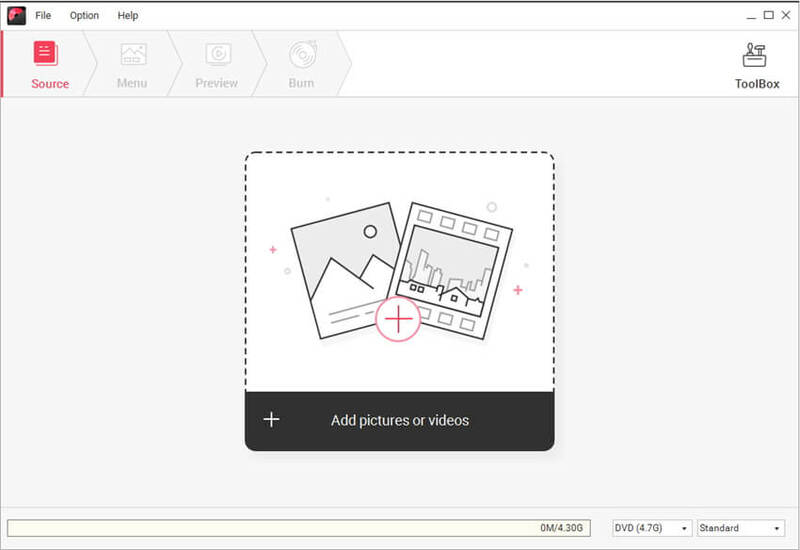 Navigate to your target video clips or image files on the computer and directly drag-and-drop them to the blank area on the interface. You can also add files by clicking the + icon under the Source tab to search videos or photos present on your computer. You'll get a list of video thumbnails on the left which shown all added files. Click the pencil like icon on the thumbnail to open the Video Editor or Slideshow Maker window, where allows you to crop/trim/rotate videos or photos, applying effects, and more other settings. Move to the Menu tab and choose a style of menu for your Blu-ray creation. There are options for customizing your preferences and settings for various template style on the right side. Tracking of audio, changing background pictures, adding text, and others can be done by clicking the icons provided at the top of the interface. Switch to the Preview tab to check your creation. Back to make adjustments if something you're not satisfied. Click the Burn tab and choose Burn to disc option, finish the given burn settings including Disc Label, Burner, TV Standard and more. Finally, click the Burn button to start burning the video or photo to Blu-ray disc. You can also save your creation as BDMV files for later burning. Hereby! We assure that all the above steps are true and have been implemented in a hierarchical order. It’s our pleasure to assist you at any time and in any case. 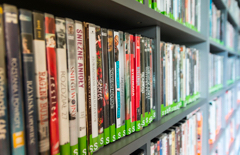 The following list contains another 9 Blu-ray burning software for Mac that can never be ignored or missed, check them below and choose accordingly the best Blu-ray burner for Mac for yourself. This software is totally free and comes with no cost of Blu-ray vs DVD. It consists of functions that will be frequently needed for disc burning. It verifies the steps of written files and multi-sessions of DVD-RW/DVD+RW are applicable. It supports all types of interfaces in hardware modes such as AHCI, SATA, 1394, USB, SCSI and IDE. It supports all double layers and all other media type. The Unicode CD-Text in both track as well as the disc. The main advantage of this software is that it allows you to burn high definition as well as medium definition videos stored in the Blu-ray vs DVD easily. It supports a wide variety of Blu-ray output formats. It simply converts the videos directly into the folder of Blu-ray writer for Mac which saves firstly in hard drive and then it can be burned. Burn videos stored in any kind of AVCHD or Blu-ray writer for Mac. Burn or convert videos in all formats. As this software supports BDMV and AVCHD formats, it enables you in creating a Blu-ray movie disc on your own as it one of the best Blu-ray burner for Mac. It supports in burning DVD movies and 3D Blu-ray. It consists of more than 40 preset disc menus. The users can create the albums in galleries and slideshows easily into a disc. It consists of DIY disc menu and template models to choose from. It enables to create photos and slideshows on the disc. This software is light weighted when it comes to Blu-ray burning software. This software supports CD, DVD, best Blu-ray burner for Mac and HD DVD. Hence, it is noted as one of the top 10 Blu-ray burning software. It is capable of burning the audio file in CD format through ACM or direct show. This Blu-ray authoring Mac burning software is more suitable for advanced users. Using this software, you can burn the data and files with HD quality. This is one of the must-have applications when it comes to Blu-ray authoring Mac burning software. The true burner application is based more on quality than quantity of Blu-ray burning software Mac. It is equipped with fast servers ranging from 100 Mb to make downloads fast. It enables to pause and resume downloads. This software is 100% virus free and is of spyware too. Pages are optimized to enable browsing faster. This software is free of cost. It allows you to burn DVD, HD-DVD and Blu-ray authoring Mac discs. It supports all kind of optical storage media and other varieties of burning hardware. It burns the data, audio, and video either on DVD or CD. Quite possibly! It supports HD-DVD, Blu-ray burning software Mac, DVD, and CD. It enables the burning of data and burning of the audio Compact disc. It is able to create an ISO copy of a pre-existing CD, DVD, HD-DVD, Blu-ray authoring Mac. This is fully equipped and developed software that is capable of copying Blu-ray movies to empty Blu-ray authoring Mac, DVD or AVCHD discs and Blu-ray folders or Blu-ray authoring Mac ISO files of images. This software provides express as well as expert burning modules. The main feature of this software is that it enables to compress large Blu-ray to DVD Mac and smaller Blu-ray or DVD disc. With few clicks, you can start the burning process and thus the export mode helps you to customize and compress according to the tools used. This software is capable of creating Blu-ray folder, Blu-ray to DVD Mac, ISO files such as TS, TRP, MPG, DAT, M4V, MP4, DIF, MOV, QT, MJPEG, PJPG, etc of video formats. This software provides many functions and options for editing such as video effects, cropping, watermarking, etc. From your own video, you can create the Blu-ray to DVD converter Mac and thus, it makes much easier to convert into Blu-ray folder. It enables the sharing and preservation of long-term video. The main advantage of this software is that it comes in free of cost. It is capable of burning CDs and DVD s in formats such as HD-DVDs, Blu-ray to DVD converter Mac, etc. It is equipped with features responsible for burning and creating ISOs and other multi-language interfaces. It is efficient for both experienced as well as new users. Once if the burning process completed and then verification of data’s will be started.